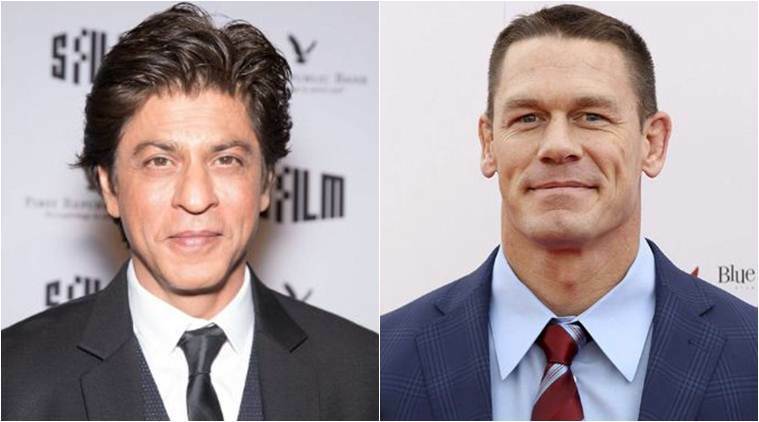 Bollywood superstar Shah Rukh Khan has thanked Hollywood actor and wrestler John Cena for “spreading goodness” and said it is important to inspire children who look up to him as their hero. Cena on Monday shared an inspirational quote by Shah Rukh from Ted Talks. 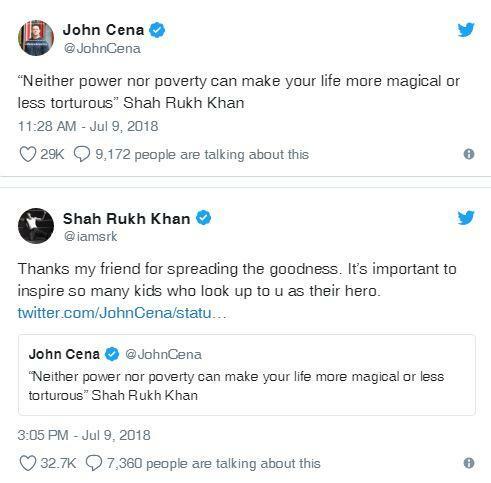 “‘Neither power nor poverty can make your life more magical or less torturous’ Shah Rukh Khan,” Cena posted on Twitter. On the work front, Shah Rukh will soon be seen in Zero. 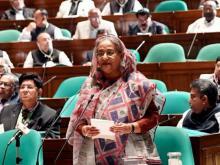 The film is slated to release in December. It also stars Katrina Kaif and Anushka Sharma. 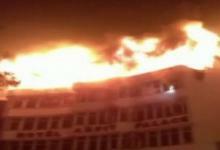 The three stars have previously shared screen space in Yash Chopra’s Jab Tak Hai Jaan. The superstar, who completed his 26 years in the industry recently, has also been in the news lately for his vacation photos that he has been sharing on the social media.